Do you sell nuts and washers to go with this eye bolt? We do not offer standard nuts and washers on our site. We may in the future but at present we have not entered into the fastener business. 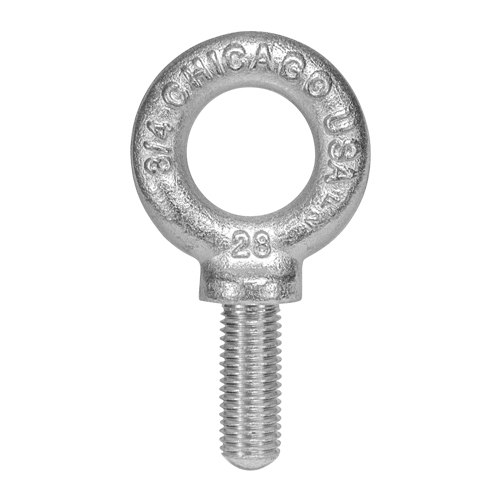 We can certainly source them for you if needed, but these eye bolts are just regular UNC threaded, so you should be able to find them at just about any local hardware store. Please bear in mind that machinery eye bolts are meant to thread into a tapped hole. Many users will put nuts and washers on the back side, but they were not intended for that type of use, which is why they are not furnished with nuts.